In the wake of this initiative, the United Nations University launched its Regional Centres of Expertise on Education for Sustainable Development (RCE-ESD) program in 2005. The aim of this program is to bring about the development of ESD at the local level by taking into account the reflections on sustainable development at the national or UN level. Seven locales were certified as RCEs in 2005. Since then, as of 2014, we have more than 124 locales from around the globe join our program. RCEs operate not only by partnering with educational institutions, but also by searching ways of collaborating with non-public forms of education. In the Tokai region – Aichi, Gifu, and Mie – in particular, Chubu RCE was established in 2007 and has subsequently been approved by the UN University in 2011. 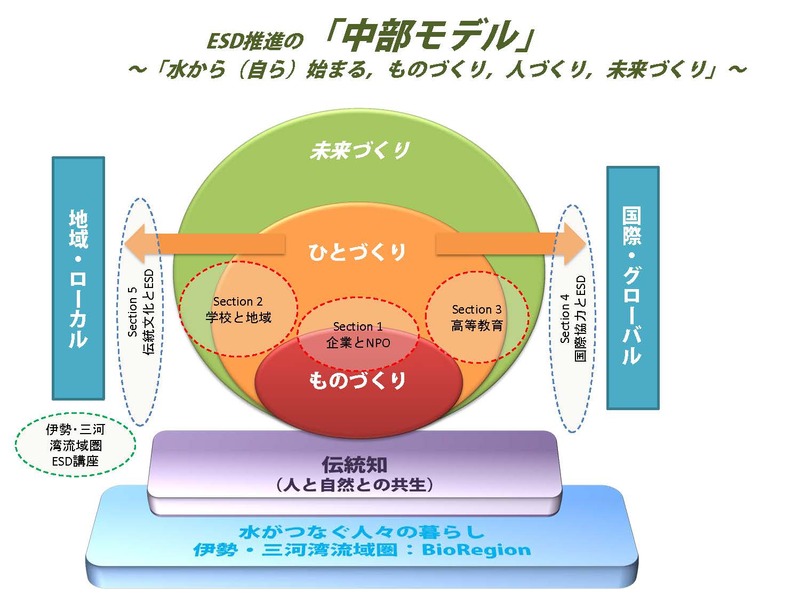 In addition to Chubu University, institutions such as Nagoya University, Nagoya Environmental University, and the RCE Chubu Promotional Committee have taken part in this process. In 2008, in addition to the above mentioned institutions, Mie University, Gifu University, and EPO Chubu have joined us to play an organizational role. This led us to start the RCE Chubu Committee. As of 2013, we have had more than 72 organizations sign up for this committee. It is our hope that we continue to maintain a constructive relationship with our partners and to provide the necessary support for all to excel in their respective activities. RCE Chubu Committee is a network organization located in Tokai-Chubu region. We collaborate with more than 80 groups (educational institutions, NPOs, governmental institutions, and corporations) in order to promote an education for sustainable development (ESD). 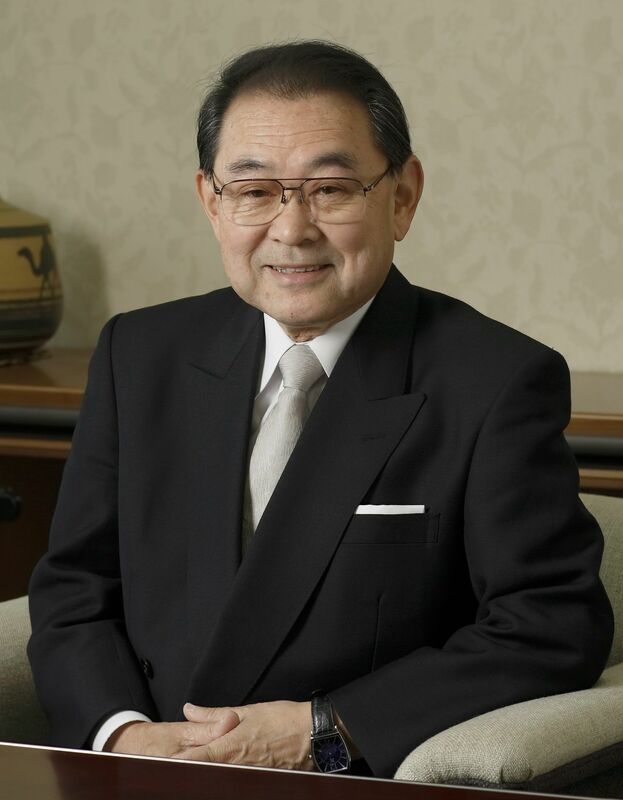 Of these groups, 16 individuals from 9 particular groups, including the Chancellors of Chubu University and of Nagoya University, are responsible for core operational tasks. RCE Chubu focuses its activities within a region which we call the “Ise-Mikawa Watershed Area,” a region covered by rivers which flow into Lake Ise and Lake Mikawa. This area roughly corresponds to the three prefectures of Aichi, Gifu, and Mie. Our activities aim to clarify the natural, economic, and social problems which hinder sustainable development, and to develop a network for developing individuals who will be able to resolve such problems. In more concrete terms, our activities consist of the following. Education and mutual learning at all levels – formal, informal, and non-formal. “Regional Centres of Expertise on ESD” (RCEs) are headquarters for actualizing ESD on a local level. The United Nations University is responsible for providing certification. To be more precise, an RCE is a network organization of existing public and non-public institutions who aim to provide ESD for local communities. The network of RCEs with the world constitutes a global educational space for sustainable development. By transforming the global level project of the “Decade of ESD” (DESD 2005-2014) into local level activities, RCEs aim to achieve the goals laid out by DESD. Copyright © 2012 Chubu Regional Centre of Expertise on Education for Sustainable Development All Rights Reserved.